Riviera Entertainments, specialists in mobile discos for weddings, birthdays, corporate events and special occasions. Based in Torquay, with over 15 years experience we can assure you that your event will run smoothly and effortlessly. We aim to make your event extra special by providing only the best in sound, lighting and proffesional DJs. Required by many venues, Riviera Entertainments has a current PLI policy with DJGuard / in the amount of £2 million. Also required by many venues, Riviera Entertainments has supplied satisfactory evidence of holding current PAT inspections of their equipment dated within the last 12 months. A Method Statement outlining Riviera Entertainments&apos; Health & Safety procedure for setting up disco equipment has been provided. Riviera Entertainments has provided Risk Assessments undertaken at events sourced via needadisco.com, indicating that they can undertake these competently. 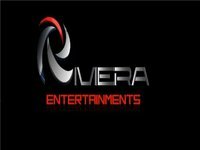 Why do people choose to book Riviera Entertainments? "Matt was brilliant, he accommodated everything I asked for, including 3 final songs, he spent time talking to my mum and dad before playing a jive record for them. Matt worked with our male vocalist, agreeing times etc and also Kev and my step daughter who performed 3 songs. I couldn't have asked any more of Matt, he kept to our playlists, ensure all the guest were happy and participating. I had a minor issue logging my records on the playlist and sent an email at 7.30am, I didn't expect a response quickly, but Matt responded almost instantly and I was able to select the songs I required. There was only one song on his selection, which was not available, however, Matt ensured this was available on the night (an old 50's song) ..we would certainly have no hesitation in recommending Matt to others and if in the area we would certainly contact him again ourselves." "Matt was fantastic and suited our wedding perfectly - I would recommend him for all occasions. " "Thank you so much for your kind words. Was a pleasure to provide you with your entertainment. " Riviera Entertainments also offers a range of additional party services not directly linked to musical entertainment. 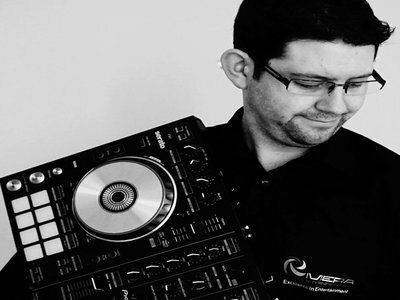 Get FREE no-obligation disco quotes from Riviera Entertainments and other DJs covering your venue. Take 2 minutes to fill in some basic details and we'll do the rest! If you are contacting Riviera Entertainments about an event, it's always a good idea to include the DATE, LOCATION, EVENT TYPE, AGE GROUP and TIMINGS to speed things up!